Traveling with a tot under the age of two can be stressful, but it definitely has its perks. 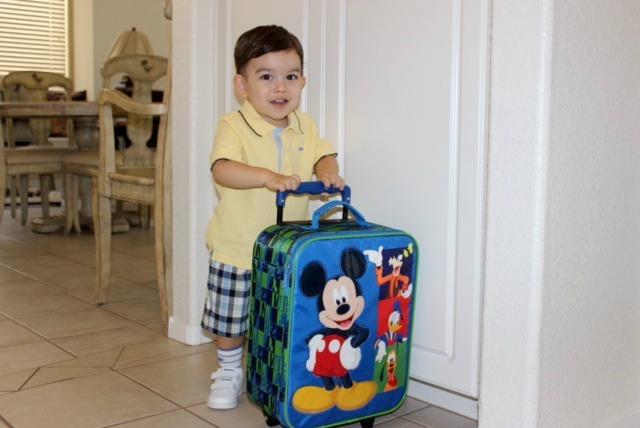 Under two years of age, your tiny tot is free to travel. Airlines require proper identification on your little one, so don’t try for a free ticket if your child is over the age of two. If booking online, remember to call with your confirmation number and tell them your child’s full name and age. The airlines will allow you a diaper bag, stroller, and car seat free of charge. With my son being a year and a half, I have taken full advantage of this policy. I love the idea of traveling with my toddler, but I am a ball of stress on the big day. While not paying for your under two-year-old to fly is great, having to sit with him on my lap is not. When I’m stressed, my kid is stressed. I’m not exactly the most Zen of individuals, but I try to keep a positive outlook on how the fight will go. The positive outlook ends up leaving when it comes time to board the plane. The usual smile from a stranger admiring my adorable child quickly turns to a glare. It becomes very clear that me and my child are not wanted, as if I am punishing people because, God forbid, I bring a baby on a plane. I’ve decided I’m done feeling sorry for everyone else. In my travels, I’ve gotten that look from everyone from elderly people who have forgotten what it’s like to travel with a young one to the disheveled single person who has no business judging me or my kid. What people fail to realize is that the person most stressed is often the parent themselves. Will my kid cry on take off? Maybe. But maybe not. Will my son throw a tantrum and bug out? Maybe. But maybe not. In the process of getting to my final destination, I choose to stay chill and enjoy my travels with my little guy. Taking full advantage of his free ticket. We’re off to Oregon this month, California next, and a Disney cruise in October, leading us into the holidays with plenty of more free fights for my little guy before he turns two.